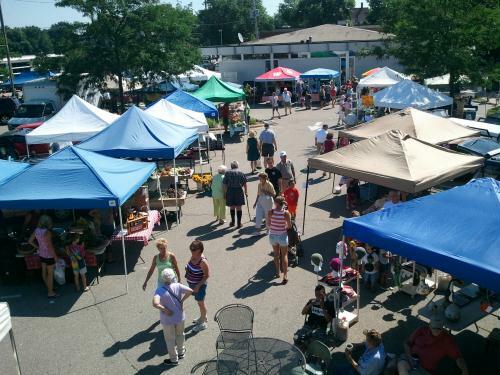 Fort Farmers Market celebrates locally produced foods and artisan crafts each Saturday from 8 am to 12 pm. Featuring 45 local producers who sell locally farmed and organic vegetables and fruits; organic cheese and eggs; grass fed beef and chicken; homemade baguettes, scones and jam-filled donuts; fresh milled wheat breads; honey, syrup and jam; fresh cut flowers and herbs; fine jewelry and much more! Each Saturday offers music by regionally acclaimed musicians, as well as free community activities and kids crafts at the Kids Creativity Tent. The market also has special monthly Arts Saturday with 15 additional arts producers plus Dairy Day in June and monthly educational programs. The Farmers Market accepts FoodShare (Food Stamps) and WIC.